Manawa Ora: Roses in Concrete features musicians Laughton Kora and Bailey Wiley, actor Jess Holly Bates (Shortland Street, Awkward Love) dancer Thomas Rose, and film maker Chris Graham, working alongside a group of talented South Auckland teens learning to stand tall and thrive. The Manawa Ora season returns to the Herald Theatre for the fifth consecutive year and showcases a creative collaboration of one-act plays, performance pieces, installation works and music created by the teens with their one-to-one mentors over a 5-day series of workshops. Theatre director Aroha White brings together the individual works to form a transformative audience experience like no other. 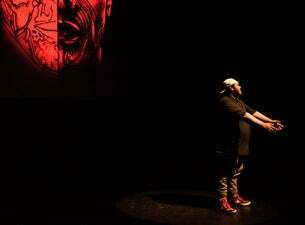 The annual, live performance is the flagship project of Ngā Rangatahi Toa, an education and creative arts initiative based in love, kindness and compassion that provides long-term wrap around support to young people dealing with a variety of issues. The Rose in Concrete theme, from Tupac, represents the strength and resilience shown by the young people growing up in chaos. Their honesty, creativity and connection reminds us all that when we own and tell our own stories, we get to write the ending. Every year is a sell-out, and has been described as ‘interesting, challenging and beautiful’ with a ‘stunning depth of perception, of hope and healing’.